After an event or extended time period, business cards can add up quickly. Here are 6 ways to keep yours organized. Although they are among the smaller (and perhaps less thought of) tools used in the average professional or entrepreneur’s repertoire, business cards still have a very real impact on the success of companies. This is the case even as our world becomes increasingly digitized and modern. Throughout history, business cards have been used mainly as simple tools for networking, or to ensure that potential or existing clients have up-to-date contact information. This is a crucial enough reason, on its own, to continue using them. But depending on your company or who you do business with, using business cards might be even more important for your company. Japan, for example, considers the exchange of business cards to be an important honor, and the quality of the cards exchanged says a lot about who you are. As the interconnectedness of our society grows and becomes increasingly globalized, with many companies relying on foreign transactions and relations, these considerations remain as relevant as ever. Websites such as Entrepreneur.com suggest that although paper is becoming less common in business exchanges, professionals should still carry and hand out business cards. Even those who work in the tech industry and communicate mainly online should take note of this, as not being prepared with a card to exchange at conferences or meetings could come across as unprofessional. With this model still in place, it’s safe to assume that your existing pile of business cards will likely continue to grow as you network. The exchange of contact information is crucial and foundational to effective communication and networking activities in business. When you commit to organizing your cards, not only will you find who or what you’re searching for quicker throughout the work day, but you’ll increase your chances of creating beneficial client relationships and higher sales numbers. By recording important business information, having your business cards stored in an organized manner, and having a system for uploading contact details to your digital contact lists, you will find it much easier to build reliable, strong networks and connect to other professionals in your career field. Perhaps you already have a rudimentary system for storing business cards, such as the all-too-common “junk drawer” that many of us have in our offices. These drawers are often filled with notepads, tape, scissors, pens, and countless paper clips, and aren’t the most foolproof method out there for organization, especially when it comes to important networking and contact information. Organization is a must for anyone who wishes to be successful and, in fact, fuels higher levels of productivity. To increase your effectiveness in storing business cards, you can begin with minimizing your existing collection. The average businessperson may have hundreds of cards piled up in their desk that need organizing. Before you begin, however, sort through them and throw out the cards you do not recognize, as these won’t be of much use to you now or in the future. Next, toss out the cards that are advertising defunct companies or services that are no longer relevant. Once you have your pile of cards cut down to only what is important and necessary, it’s time to find an efficient and quality system for organizing them. An alphabetical sorting system: Whether you promised to get in touch with someone you met at that convention last week, or you need to remember how a client spells their last name, being able to retrieve business cards on the spot is important. When selecting a product for sorting your cards, make sure you opt for something that will make your cards simple to locate. That is the purpose of such a product, after all. Attractive design: Perhaps you take great pride in the décor of your office, or maybe you are more the type who prefers a simple, basic environment free from showy decorations. Either way, having a business card holder that looks nice will make it more enjoyable to use, without being too distracting or compromising the looks of your desk and office, as a whole. Easy card retrieval: Some organizational products are great for storage, but not so great for removing what you need at a moment’s notice. A business card organizer should be not only simple to look through, but easy to retrieve cards from when you need them. Your card file can serve as an important backup system in case of a power outage, so plan accordingly with the product you select. Quality, lasting material: Ideally, your home office will stand the test of time. Make sure that you equip your work space with products that will do the same. Since you will likely be flipping through and referencing it a lot, find a card holder that will last through the years, regular wear and tear, and countless uses. Based on the information above, we compiled a list of some of the best products on the market for organizing your collection of business cards. PenPower is among the best in the market for machines with smart machine-human interface functions and technology. This company, which has been around since the ’90s, seeks to alleviate and simplify confusing and, at times, frustrating tasks of computer interaction for the average user. Since most of us aren’t computer geniuses, this can be the answer to potential organization difficulties. The PenPower World Card Color Business Card Scanner streamlines your collection of cards, allowing you to sort and digitally store your personal and professional contacts in a convenient manner. This useful device preserves the color of business card pictures, maintaining image quality, and can double as a scanner for sports cards or even your personal color photos. As soon as you’ve transferred your business cards onto the machine, the scanner allows you to synchronize, export, and import your professional or personal data with various devices, including smartphones and other digital organization or storage software. You can quickly and simply scan images and double-sided cards onto a single entry for easy retrieval and make good use of the advanced, full-text search function which instantly sorts or locates your contacts. Not everyone is tech savvy, so user-friendly machines, such as this, are a must for home offices. You will find that installing and starting to use this scanner is a struggle-free experience, taking around 10 minutes. The smooth, smart, and easy system reads your cards for you, allows you to adjust contact information, and updates the details immediately and automatically. A notable feature of this business card organizer is that it scans in multiple languages, which is a needed function for multi-lingual or international companies. Please note that when taking advantage of this capability, you should select the correct language in order to increase accuracy, since different countries format addresses differently. The software of this machine syncs up with Outlook and allows you to add a picture of the card to the details section – a useful function for visual thinkers. Tech Tools is a family operated and owned business located in Indiana. They have been running for more than 50 years and are passionate about giving back to their local community. Their Mini File Cabinet for Business Cards product allows users to organize their cards in alphabetical order, keeping them free from rips and creases. Similar to (and based off of) a traditional office filing cabinet in design, this handy holder comes with three sturdy drawers, complete with index labels and handles. The miniature cabinet, certainly fashionable and unique in design, allows you to sort your cards from A to Z. The product, which is 8.5 inches tall and 4.5 by 5 inches in width, fits easily on your counter or work desk and has an impressive holding capacity of up to 1000 cards. Each drawer is designed to hold the typical 3.5 by 2-inch traditional business cards. With this product, your days of shuffling and sifting through countless stacks of disorganized business cards will be over. The clutter-free design is said by some to be more functional and better looking than the traditional Rolodex model for organizing business cards. One factor to take note of, for this product, is the fact that it’s created to house American-sized business cards. The standard U.S. card will fit perfectly into the drawer, but when working with cards from say, Australia or Japan, you may have a hard time fitting them in. Jack Cube, Incorporated is a company that specializes in case production and design, including wine and jewelry cases. They manufacture and supply cases created with wood, paper, suede, and leather. For those of you who have a substantial business card collection, the Jack Cube Carbon Fiber Organizer will hold up to 800 cards. The expandable, attractive design is sleek and allows you to manage and organize your cards in a very simple manner. This professional card file comes with three separate sections, so you don’t have to shuffle and sift through every business card you own just to find an insurance card, for instance. Equipped with protected, alphabetized tabs, the dividers in this product allow for easy and smooth sorting and sifting of your important business contact information. The card holder is created with synthetic, carbon fiber leather material of high quality with acrylic sections inside. The outer design material resembles twilled-style fabric, adding to its stylish look. The organizer is built for housing standard size business cards of 2 by 3.5 inches. In addition to this, you can use the holder for storing sticky notes, coupons, and other important flips, further adding to the organization of your desk. This product stands out due to its compact size, which is especially suitable for those of you working with limited space. Another notable and unique feature of this product is the fact that you can remove the dividers, if necessary, by gently flexing them, which allows them to pop out easily. Cardinal Brands has been around since 2002, and offers resources for helping companies sort and keep track of taxes, employees, financial information, and customers. This business card book was made with that principle in mind. Created out of sewn vinyl, the book is heavy duty, and durable. This useful storage tool comes in the form of a 1 inch ringed binder, a unique design among the rest of the items on our list. The book can be used to store up to 200 cards, which can then be found and used when needed thanks to the color-coded, A to Z index of this design. Use it for storing and organizing business contact information as intended, but use it for credit cards or membership cards, as well. The book comes with 10 long-lasting, sturdy vinyl pages for storing cards, but is able hold up to 20 more, for those of you who wish to purchase extra pages. The binder also comes with two extra pockets inside, elegantly designed brass corners, and a handy loop to hold your pen. This product stands out in that it allows you to view multiple cards on one page, instead of only being able to flip through and read one at a time. For those of you accustomed to frantically digging through drawer after drawer to hunt down business cards, this product gives you one simple location to keep them all in. While you may have all of your business contact information on your smartphone or work laptop, no one is immune to the odd dead battery. The Cardinal Business Card Book protects you against unforeseen events like this. The design of this book allows it to stand upright so that it doesn’t take up much room in your cupboard or filing cabinet. Store it next to your phone book at home in order to keep all of the phone numbers you may need in one place. The Rolodex is the most classic, and perhaps the most recognizable, design of all the business card organizational products on this list. Before it was created, people stored contact information by handwriting it into their address books, or by simply throwing business cards into their drawers or a shoe box. This all changed when a Brooklyn-based inventor named Arnold Neustradter came up with the Rolodex in 1956 along with a group of other men. This design swivels for access to your contact information in 360-degree viewing style, and comes with 200 transparent sleeves for holding business cards. Each index divider is color coded and organized in the traditional and familiar A to Z manner. The knobs on this product are easy to grip, textured, and large, ensuring easy location of whichever card you’re on the hunt for. The rotary-style, smooth functioning mechanism of this product lets you flip through cards, then steadily hold the needed card for easy viewing. The sturdy metal frame of the Rolodex Open Rotary Business Card File ensures a long life of the product and comes with a glossy, quality finish that will look great on your office desk. The cards fit into the slots perfectly and stay put. Unlike older designs of this card holder, the sleeves do not require a hole punch and therefore your cards stay clean, readable, and intact as time passes. The card slots are also perfectly suited for holding business cards with odd or unconventional shapes, unlike previous Rolodex models. The storage capacity of this business card organizer is great for how compact it is, ensuring that you have access to your contact information without sacrificing valuable desk space. Although this is intended to be used for storing business cards, of course, you can also use it to store cooking recipes, to-do lists, and more. If you, like so many modern online workers these days, have a lot of different login information and passwords to remember and use on a regular basis, a product like this is a godsend. Lipper International is a company dedicated to providing valuable items for your office, home, and even your kitchen or child’s bedroom. The brand has made a name for itself that has become synonymous with beauty and functionality. The business manufactures their products from fine hardwood, quality metals and chrome, acacia wood, stainless steel, and stylish bamboo. For those of you concerned about the looks of your cardholder, the 810 Bamboo Card Holder is an attractively designed box that will add to, rather than detract from, your office’s style and décor. Its bamboo design not only looks fresh but has less of a negative impact on the environment, for shoppers who like to stay green in their purchase choices. The box expands from 8 inches long to 12 inches long, depending on the size of your business card collection and your personal organizational needs. Note that the box must be filled with cards in order to stay expanded, so stretch it as you go. The product offers A to Z index tabs and easily removable dividers for simple sorting and organization. The existing compartments come with extra compartments inside, which add to the overall clever design of this box. The business cards you hand out can be seen as an extension of your company and yourself, as a professional. 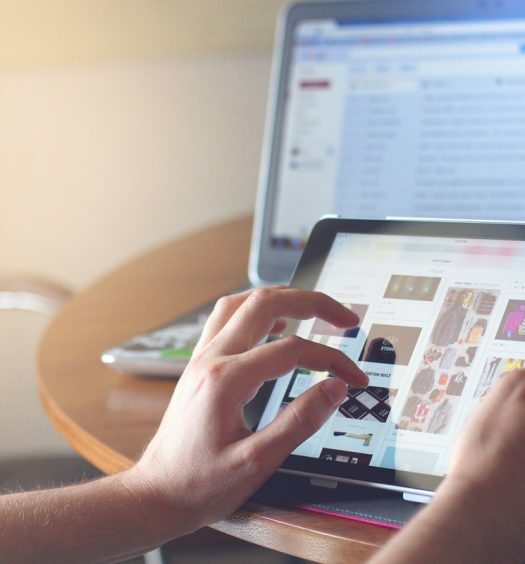 Although most of us now have smartphones and other devices for connecting with business contacts, business cards are as important as ever. In fact, this can be the one factor that helps you stand out among competing companies. Make sure you create a style for yours that accurately represents your business and all that it offers. Use the following tips to ensure this is the case. Think of the card as your miniature portfolio: Your card can be used and seen as a small portfolio. This is an especially relevant idea for visually creative businesses, such as photographers or designers, but is not only limited to such companies. Make it simpler for potential clients to check out your portfolio by proving your design capabilities right there on your business card. Even one simple graphic or inserted picture can make a world of difference for the overall look of your card. 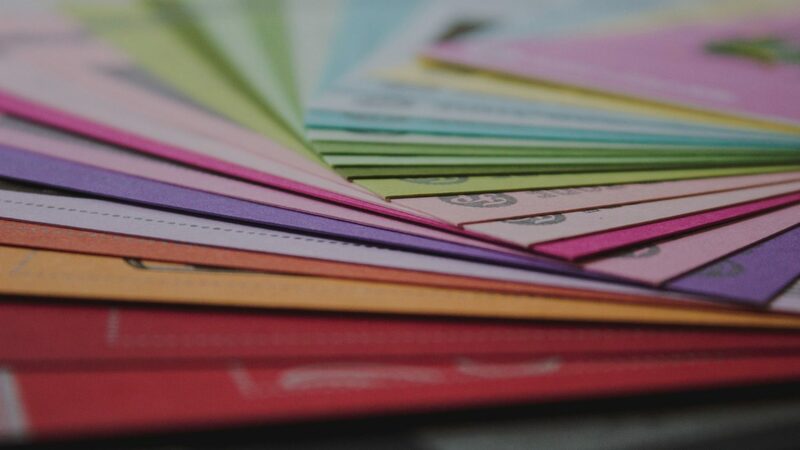 Consider unique materials: Sure, printing business cards on a traditional paper material is the cost-efficient way to go about it, but thinking outside the box with which material you use can do you huge favors in the impression you create. You could, for instance, choose something that is relevant to your company, such as recycled paper for a brand that strives to create an eco-conscious image, or wood for a carpentry business. Choose a quality finish: As a businessperson, maintaining a professional image should be important to you. For your business card, opt for a modern and clean design to get this across, with a nice finish to prevent your card from looking too plain. Simplicity and sleekness is a great approach, but using an added finish will make your card stand out in your potential client’s office organizer. You could think about a metallic ink for the text, a special type of paper, or am an embossed logo for your card. Whichever enhancement you go for, ensure that it’s classy, tasteful, and adds something to the overall feel of the card. Get Creative with the card shape: Another great method for making sure your card is remembered is choosing unique shapes. Nearly every business goes for the traditional rectangular business card. Think outside of the norm and go for something related to your company. If you don’t want to go too overboard with this, opt for a simple shape, like a diamond or oval. There are also subtler options like slightly curved card edges or an elongated, slim rectangle shape. Why are Business Cards Still Relevant in the Modern World?